In my video production career I have predominantly worked with non-actors and the challenge is always the same: how can you capture natural, believable footage from people who aren't trained to perform in front of a camera? If you've been hired to shoot a commercial for a local restaurant or a sales video for a niche product manufacturer, you will at some point be directing the people who actually work at these businesses. So, here are some things that have helped me get the most out of my non-professional on-camera talent. Spend a few minutes with them before bringing them to set. Introduce yourself. Find out something about them. Talk about things unrelated to the shoot. Get them talking about themselves. Smile. Laugh. Be personable. Build trust. The more comfortable they are with you, the more willing they'll be to take direction when the cameras roll. Be very clear about what you are trying to accomplish. Believe it or not, sometimes the business rep who shows up for the shoot has been "volun-told" by a superior to be involved in the production and he/she may not even know what the video is really about. Don't assume he/she knows what's going on. Spell out explicitly what the scene is about and what you will be asking him/her to do. Answer any questions that may come up. Remember, the more comfortable the talent is, the better the footage. You are setting up scenarios, not staging scripted scenes. If you come to set and start giving a long list of specific, scripted directions to your talent ("Now, at THIS point you will cross to THIS side of the room and stand HERE, turning 3/4 to camera BEFORE delivering your line...") they will immediately tense up and deliver a performance that feels too rigid and unnatural. Why? Because they aren't accustomed to taking direction, hitting marks and nailing the timing that comes from years of actor training. Instead of specific, scripted direction, focus on setting up a scenario; something they do every day while doing their job. Keep the direction loose, start rolling, and capture the scene much like you would if it were a documentary. Remember, your job is to capture an authentic moment. Be willing to pivot. Sometimes your talent might tell you, "I wouldn't necessarily do it this way." Okay. Great. Tell them to perform the action the way they normally would in their day-to-day jobs. They'll be more confident and comfortable and your footage will look more natural. Remind them not to look at the camera. Don't scold them. Don't yell "Cut!" as soon as you see them look over to the lens. Let the scene play out, then walk over to make adjustments, using that moment as a gentle reminder. It is so hard for people not to look at the camera. Tell them what you're doing on set as you're doing it. Non-professional actors don't know what coverage is. They might not understand why you keep moving the camera around and why they have to repeat the same action over and over. Remember, your job is to make them comfortable. Constantly explain what you're doing ("Okay, now I'm going to zoom in for a tighter shot so I can get that same action in close-up.") so they feel reassured that they aren't doing anything wrong. These are the techniques that have worked for me over the years and the more you practice them, the easier it will be to draw out the best from your on-camera talent. What methods have worked for you? Leave your suggestions in the Comments. There are a lot of things that can frustrate a documentary film editor, like finding out there isn't enough good, quality footage to produce a well-rounded piece with a solid structure and full story arc. Shooters who are new to the video production industry not only need to learn the basics of lighting and composition, but also how to approach a b-roll shoot strategically and how to think like an editor. Improve the quality of your b-roll and you elevate the quality of the final piece. Follow these tips for shooting better b-roll. Your editor will thank you. Hold The Shot - I've edited a lot of videos over the years and it always surprises me when I get footage from other shooters that never seems to settle long enough for me to find good in and out points. Just when I think that the shooter has finally framed up the shot, it pans off to something else after only a second or two, leaving me with no good edit options. Once you frame up your shot, hold it steady for at least seven seconds so your editor can make a cut. Now, the exception to this is if there's a compelling moment playing out in front of you in real-time. Leave the camera on the shot until the moment is complete. Remember to learn patience when shooting. Focus On What's Most Important - What is the scene supposed to be about? Who are the central characters in the story? It can be easy for an inexperienced shooter to arrive at a busy location and feel overwhelmed with the amount of activity going on in front of the lens (like a crowded market place, for example). The tendency for an inexperienced shooter is to get way too many wide shots. When you try to show the viewer everything you end up not telling the viewer anything of importance. When there are too many things in the frame, viewers don't know what's most important and aren't sure where to focus their attention. Build Sequences - Every shooter has heard this one before, "Get wides, mediums, and tights." It sound elementary, but it's often overlooked. The editor will be looking for shots that help build a narrative and that's impossible to do without a variety of shots at different focal lengths. For reference, look back at my post "5 Things To Remember When Shooting Documentaries." In it I talk about the importance of giving your shots beginnings, middles, and endings, and looking for detailed close-up shots that an editor can use for transitional elements. Once you have those shots in the can, think about unique camera angles that you can get while on location. Give Us a Sense Of Time and Place - Viewers need to be oriented. Capture the environment in which the story takes place. In some cases, the environment is a character unto itself and shouldn't be neglected. Provide your editor (and ultimately the audience) with plenty of footage that conveys context. Show Subjects In Their Environment - As the logical next step from point #4, it's important that you get footage of the subject in his or her own environment. The sit-down interview with your subject might take place somewhere unrelated to the story he or she is telling (like a studio). Showing the subject in his or her environment makes him or her more real for the audience. Show Subjects Traveling - Your editor will need plenty of shots of your subject traveling from point "A" to point "B," then over to points "C" and "D." Capturing traveling b-roll is important for moving the story forward, and it helps your editor bridge scenes without jarring the audience with awkward cuts. Whether it's walking through the marketplace, driving through downtown, or bike riding by the river, get those traveling shots. Always Record NAT Sound - By "nat" sound, I mean "natural" sound; ambience. Set up your on-board camera mic to record the sounds of every b-roll location, and be sure to monitor the levels. The final video can't rely solely on voice-over and music. It needs ambient sound strategically placed throughout, to create a sense of presence and immediacy. So, go ahead and capture the sound, even if you think the editor will cover up the NATs with music or VO. Video editors, what other advice can you give to young camera operators? Leave your thoughts in the Comments section. This is a question filmmakers are often asked. And it's a valid one. If audiences see a film that moves or inspires them in some way, they want to know the backstory. They want to pull back the curtain on the process to learn something about the filmmaker, about the process in general, and maybe a little bit about themselves and humanity. Answering the question can be difficult, however, because inspiration comes in many different ways and takes on many different forms. When it comes to tackling the question, I can only speak for what has worked for me on my own short film projects. 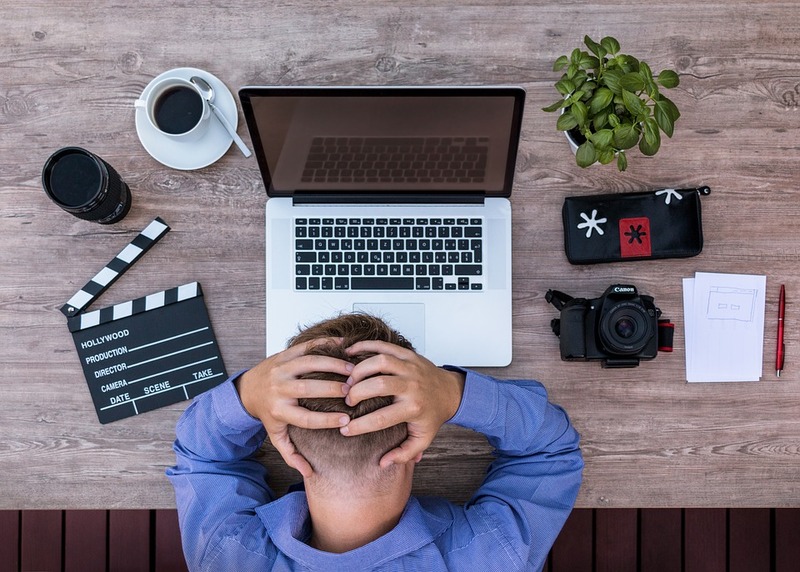 So, if you're interested in writing a screenplay, whether for a short or feature, here are a few tips on how to get the creative juices flowing. Inspiration is everywhere. You have to be open to it. Keep a notebook for jotting down anything. Moleskine notebooks are my preference, but whatever you select, maintain some kind of creator's notebook where you can jot down anything like bits of dialogue, scenes, situations, random thoughts, etc. I've written before about the importance of keeping a notebook, even if you don't use those ideas right away. It quickly becomes a repository that you can visit later, reviewing old ones and perhaps re-mixing them with something new. There's great value in physically writing things down, but if you need something digital, use Evernote. It's a great tool for getting your ideas organized. It also syncs across all your devices and everything you enter becomes searchable, making retrieval of old ideas quick and easy. Write from your own experiences. Everyone has a story. Think back on your own life experiences. Is there anything that happened to you that might be a good jumping off point for a script? Dreams can be absolutely crazy and non-sensical, but they may be a good source for material. "But I never remember my dreams!" Try this: After waking up, but before getting out of bed, relax and let your mind wander for a few minutes. You'll be surprised to find out that you can remember more about your dreams than you first thought. When you're up and getting ready for the day, your brain is focused on those tasks, not on the dreams. That's when you tend to forget them. What genres do you like? What type of story would you like to tell? With these answers in mind, start watching other films that fit within that mold. See what works well and what doesn't. Are there any themes found within these works that you would like to expand upon? Any narrative structure you would like to try? When you're first starting out, you will often imitate what you know. The more you develop your skills you will take these ideas from other sources and re-mix them and make them into something completely different. Listen to people as they talk with each other. What kinds of stories do they tell? How do the listeners respond? People that know how to tell a good story are engaging and fun to be around. Why? Use these moments as inspiration for your own plots and story structures. Also, listen to music. Sometimes a certain melody will spark an emotion. Sometimes a specific lyric will make you think of a time or a place, or maybe a relationship or a conflict. Whether it's jogging, hiking, cycling, or something else entirely, physical activity is a great way to generate ideas. This one comes from an article I read a few years ago in which Lorne Michaels talks about how the grueling and tiring schedule at Saturday Night Live actually helps the writers come up with great ideas. And there's scientific research to back up the claim. Go read it for yourself. It's very interesting. Discipline yourself to spend 15-20 minutes just writing things down in your notebook. It doesn't matter what it is. Talk about your day, your anxieties, what makes you happy or sad, your fears, your relationships, anything. The point is this: put pen to paper and put it all on the page. Hopefully these ideas will help you as you try to find the next big idea for a great new screenplay. If you have anything to add, please share it in the Comments section. Structure is so important when writing a screenplay. Every beat has to tell us something about character and story. Set-ups established in act 1 have to pay off in act 3. The challenge, however, is reigning in all of those ideas and making them fit into a proper structure. Every writer has his/her methods for crafting a screenplay, whether it's writing an outline, or writing each scene on index cards. The point of these methods is to help the writer get a bird's eye view of the entire story and to know exactly where he/she has been and where he/she is going. One of the methods I learned years ago at a screenwriter's workshop is the Grid Method. It's very simple to set up and use and it might help on your next screenplay project as you work on mapping out the entire story. Take a regular piece of notebook paper and turn it sideways so you're working with a landscape view, not a portrait view. This will give you more room to write. Create four columns across the page. Label the first column Act 1, the second Act 2A, the third Act 2B, and the fourth Act 3. The Inciting Incident is the singular moment in the film that starts the hero off onto his/her journey. It usually occurs in the first 10-15 minutes of the film. The Midpoint is the moment during Act 2 when there's no turning back. The Hero is fully invested now. He/She has to keep moving deeper into the cave in order to find his/her way out. The Fall is the point at the end of Act 2 when everything seems lost and the Hero is down for the count. As you move down each column (using a numerical or bulleted) list, write down every major story beat for each act in your screenplay. Make sure that each beat is logically leading you up to the Inciting Incident, Midpoint, and Fall. Note that you are just writing down plot points. Don't worry about dialogue, character traits, motivations, goals, etc. The purpose of this exercise is to give the plot of your screenplay structure. When finished, you will have the entire story arc spread out on a single page for easy reference. You can see which moments in Act 3 were set up in Act 1. You can see if you've raised the stakes high enough for your Hero in Act 2. It's a great system for evaluating story and determining what works and what doesn't. This system may work for you, but you may find some other technique that works better. Here's another system I found a few months ago that looks incredibly useful for structuring story. It's called the Storyclock Notebook. Be sure to check it out. The important thing is that you find a system right for you. What are your writing habits? What technique works best for you? Be sure to leave your tips in the Comments section.